1. Start by rolling up about 10 of the diapers, front to back. You want them pretty tightly rolled so the whole cake will look uniform. Put a rubber band around the middle, but don't make the rubber band so tight that it puckers. I did this flat on the table. When it gets to the center little "crotchy" area, it wants to stay folded here. I just let it and rolled in the fold as i went. 2. Place Baby Powder onto the middle of the Cake Base. Take about 9 of the rolled diapers and stand them up in a ring around the Baby Powder. It may take more or less diapers depending on what type of powder you purchased. That's ok. Put a rubber band around this first ring so that it hugs the Powder. 3. Roll more diapers. 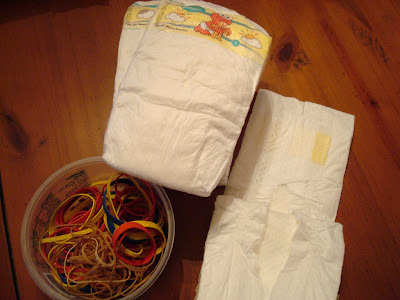 Make a second ring around the first one using about 14-15 diapers. Secure the entire ring with a rubber band, making sure it does not pucker them. It will help it stand up straighter. 4. Roll more diapers. (See a pattern here? You could go ahead and roll more for the second and third layers if you like, but you don't know exactly how many you will need.) Make a third ring around the second one using about 20-21 diapers. This last ring should be hitting the outskirts of the 12" cake base. Secure with another rubber band. TIPS: When you roll the diapers, for some reason, a little of the colored picture from the front velcro area shows on one end and not the other. I preferred my outer rings, since they will be showing the most, to be completely white. Therefore, I made sure the white end was up before securing an entire ring with the rubber band. I also made sure the ends of the rolls were all to the inside of the cake for each layer, so it would not be sloppy on the outer edge where the paper bands would be. 5. Take a couple of the pop up glue dots and adhere the Baby Bottle to the top of the Baby Powder. Part of the Baby Powder should still be sticking up, acting as a center for the next layer as well as part of the Baby Bottle. 6. Roll more diapers if you didn't already. Make your first ring on the second layer around the Baby Powder/Baby Bottle, using about 8-9 diapers and secure with a rubber band. 8. Roll about 7 more diapers for the final top layer of the cake. Place them around the last bit of showing Baby Bottle. 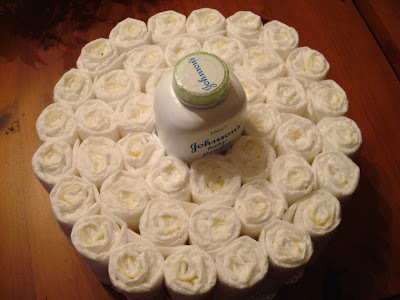 The diapers will be a bit taller than it, but that's ok, as you will put a cute little topper on it and it won't show. Secure the last ring with a last rubber band, again white end up and rolled ends to the middle so they don't show on the outside. You are DONE!! That whole process should only take about an hour, if that. Any questions? Feel free to email me. It's cute already, huh!! Now, a lot of you can go from here with the decorating part, but if not, have no fear! I will be back tomorrow for a look at how I finished it! See you then! Thank you so much for putting this together! Seeing how you do it makes me want to smack my head because it really is pretty simple! Love it...now I just want to host a baby shower for someone so I can make one! Too bad all of my friends are on 2nd and 3rd kids right now...I have a sister-in-law that hasn't had a kid yet though! Thank you, thank you again! 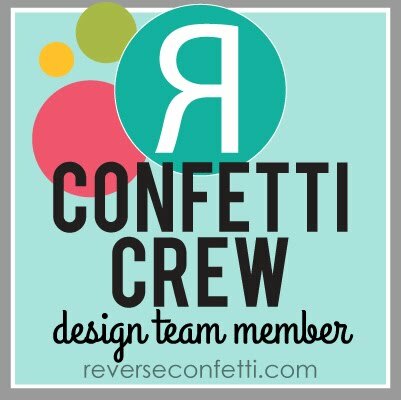 Can't wait to see the decorating post tomorrow! 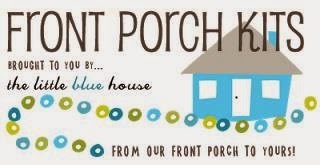 you can do this for an over the hill party too! I had no idea it would be that easy! Thanks for the "elementary" instruction. I need that sometimes. Can't wait for part 2. Fantastic! Thanks so much! And I really appreciate the e-mail! Wow thanks for the tutorial. 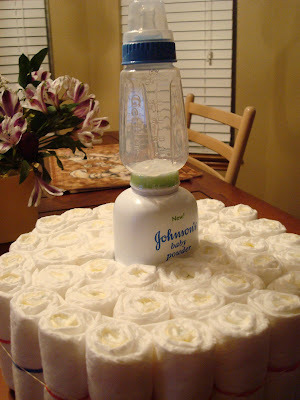 I've seen these Diaper Cakes on in blogland and think they are so cool and creative. Thanks to you I can attempt one. Have a great and creative day. Great tutorial! I love it! I gave you a shout out over at Card of the Week.com for Tutorial Tuesday. I was at a shower this weekend and there was a diaper cake. I thought it was cute UNTIL I SAW YOURS! 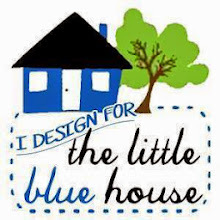 I hope you don't mind but I liked to your blog from my post to show how much cuter yours was! Those were excellent directions. Maybe I'll try this one day! I am so excited you are giving a tutorial on this. It is so stinkin' cute!! 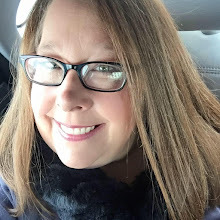 I am a total blog lurker and had to come out of the shadows!! Love your stuff!!! AWESOME! AWESOME! AWESOME! THANK YOU! THANK YOU! THANK YOU! Great job with the tutorial girl!! Mine were a HUGE hit at the shower!! Thanks for the inspiration!! A million thanks for the tutorial. I've made these before but mine have never come out this CUTE!! I have three baby showers in the next two weeks what a too stinkin cute gift for the mama to be and sooo useful too!! How great is your cake!! LOL I have just made a 2 tier cake for friends who have just had a baby boy. Thanks for the idea. BTW - I love reading your blog. Thank you for the great tutorial, very clear instructions. This will be great for my daughter whenever she gets pregnant. I can't wait. This will be the perfect baby shower centerpiece. Thanks again. What a great tutorial!!! 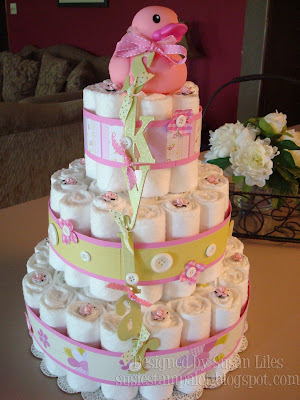 Wonderful diaper cake! 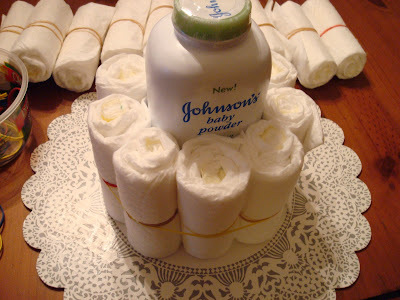 Your diaper cake is absolutely adorable. I will definitely be making this at the next baby shower I need to be part of. It is so "stinkin' cute"! Thanks so much for sharing.
" I was making this entire process a little difficult for myself....until I read your blog...yippeeee! This was very simple and easy to follow....my husband even got out of the bed to help with the cake. He even added his own "little something, something"
Your tutorial is great. My mom and I made a similar "cake" using white towels for a bridal shower. We put all sorts of fun utensils and gadgets in and around it. YOU are a GENIUS! I LOVE this idea...hope i get to make one for someone soon! lol! adorable! Thank you so much for an easy to use tutorial. I have now helped make two of these and they were a great success, so much that I put a link to your page in my blog. 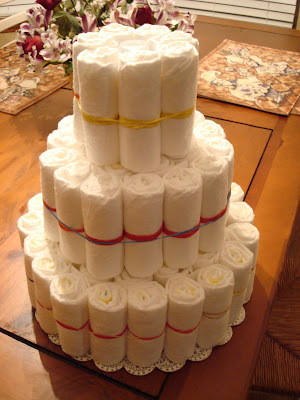 I wanted to make a diaper cake but felt a bit overwhelmed for not knowing how, and then i came across your blog. it's very helpful & so easy. thanks so much for this tutorial....I admit to being a lurker on splitcoast and found your original post of this cake there....My sister is expecting her first and I really wanted to make a diaper cake. I am so excited to have found some easy to follow directions. a beautiful cake. What size and height, the letters of the name. I want a cake is for my little nephew to make. Made a diaper cake for my nieces baby shower. Thanks to your detailed instructions It came out great....added lots of little baby things...ribbons.and a cute doll on top!!! I just used your instructions as well for my nephew's baby shower. Thank you SO much!! It turned out just great and everyone was in awe that I had made it on my own. Thanks again Susie! Thanks so much for your great tutorial! 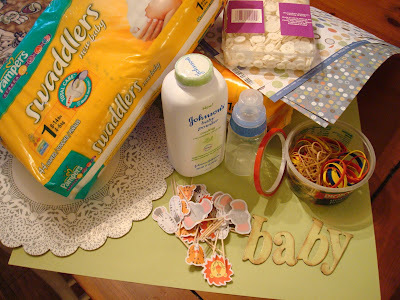 I just wrote about my friend's baby shower and linked your instructions. Thanks again! Thank you so much for sharing this awesome tutorial. You did a great job and made this tutorial easy to understand and follow. I am going to try my hand at making one for a friend who is having a baby. What a wonderful shower gift! i was wondering what the reason for having something in the middle (the loation) of the cake is for? does it have stablize it? 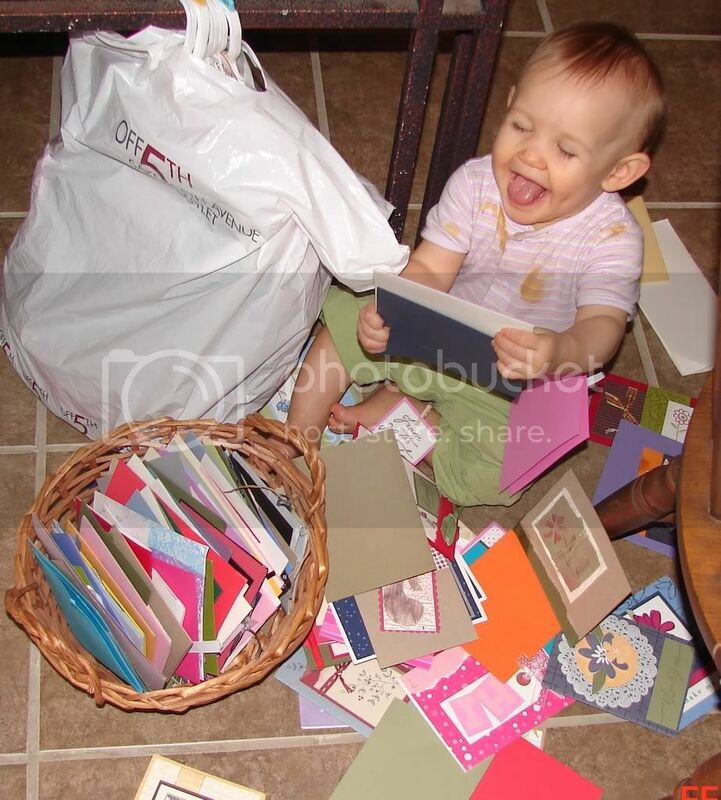 Very different idea can you make card holder from diaper? So very helpful! Thanks so much. I love your diaper cake. I like the idea of using a baby bottle in the center of the cake. We normally use a cardboard tube. Cute, cute! Thanks for the tutorial! I will be making one shortly for my sister who is expecting! I just made one using your instructions and it was so easy and cute to boot! I love love love how you made the ribbon of that diaper cake. For a gift new Mom's adore and can use, try Lil' Baby Cakes beautiful hand-crafted diaper cakes using premium ingredients. Thanks so much for providing individuals a great tutorial. Check out our most popular baby shower centerpiece designs, bought to you by Lil’ Baby Cakes. hi this is fantastic and you make it look soo easy! 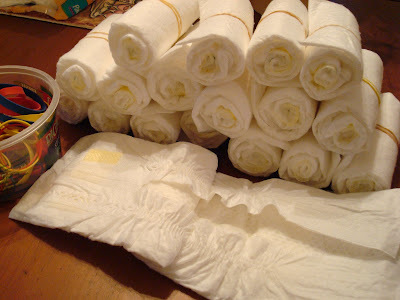 I'm going to make one for my friends, one question though, do you open out the diaper and roll them or keep the folded? 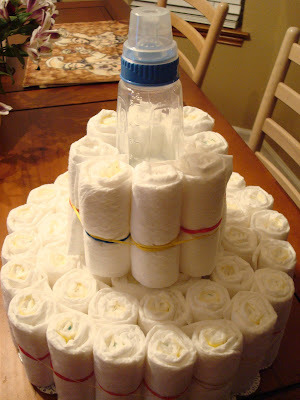 This diaper cake is very creative and you have an eye for design! I see you used the rolled diaper method, and I would like to point out that if your readers are pressed for time, they can also use the fanning method. :) Instead of rolling each individual diaper, you can stand the diapers like a fan. The buttons on the ribbon is a unique creative touch! Seems very simple, you made it sound anyway. I hope i can pull it off with the neatness that you did. I will be back tomorrow, to let you know. Thank you for the tips~! wow - thank you sooo much for this !! have been pinning lots of ideas, but wasn't sure exactly how to do :) ADORABLE ! Thankyou so much. I'm going to using your instructions to make a diaper cake for a friend's baby shower this weekend. I have been wanting to do this for a very long time but all the other blogs made me feel intimidated and made the process look daunting. Yours was the first site that makes it look simple. I'll be back this weekend to tell you how it came out. 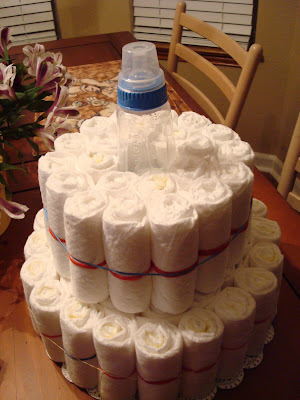 I came across your blog on a Google search for How to Make a Diaper Cake, thank you so much this was so easy. I think I'm going to use an empty paper towel roll next time, I did that for the top tier on mine (bottom two were Johnson & Johnson soap) and it seemed to mold around so much easier. 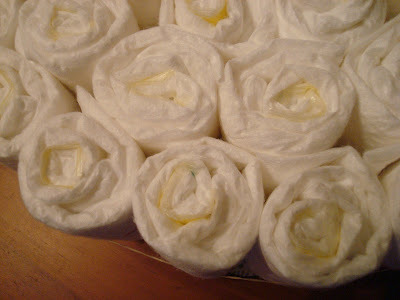 Thanks for telling these easy ways to make diapers. I'll definitely try this at home. This looks great & wonderfully easy. I wish I would have thought of it or saw it sooner. This looks great & wonderfully easy. Wish I would have thought of it or saw it sooner.